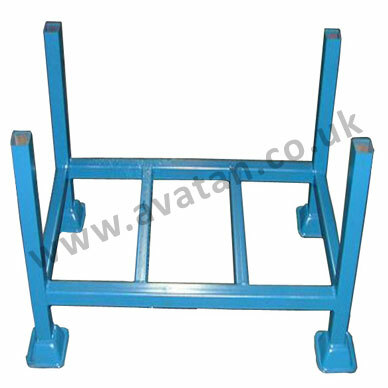 Scaffolding post pallet for storage of steel tube. 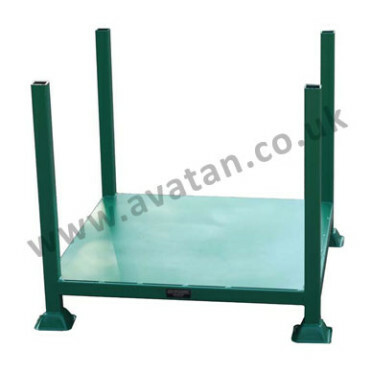 Heavy duty post stillage with open or open braced base frame. 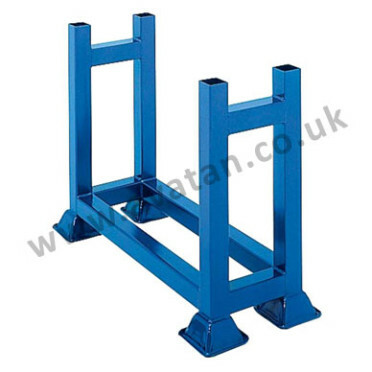 Available with one or two bracing members but may be supplied without bracing for low cost option. 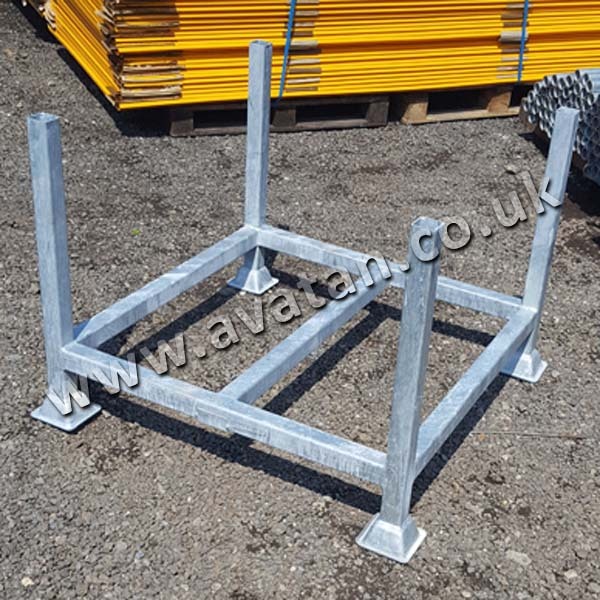 This standard Scaffolding Post Pallet is generally held in stock with 900mm post centres and is widely used throughout the building industry. 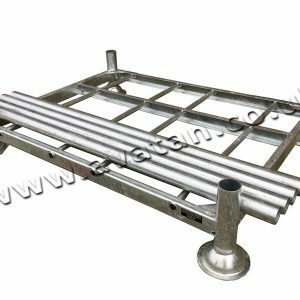 Sheet steel base option can be supplied. 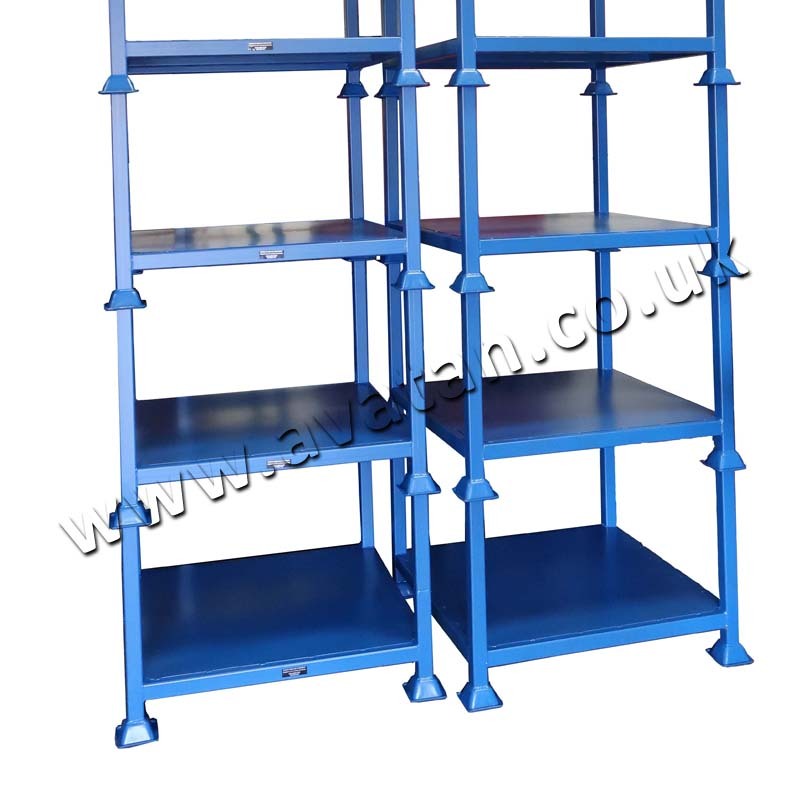 Mounted on F1 125mm square pallet feet and finished in air dry paint. 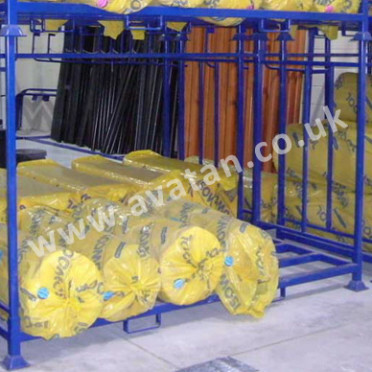 For low cost disposable option these stillages are also offered self colour, i.e. unpainted. Alternatively for a highly durable finish we offer hot dip galvanised finish in zinc. 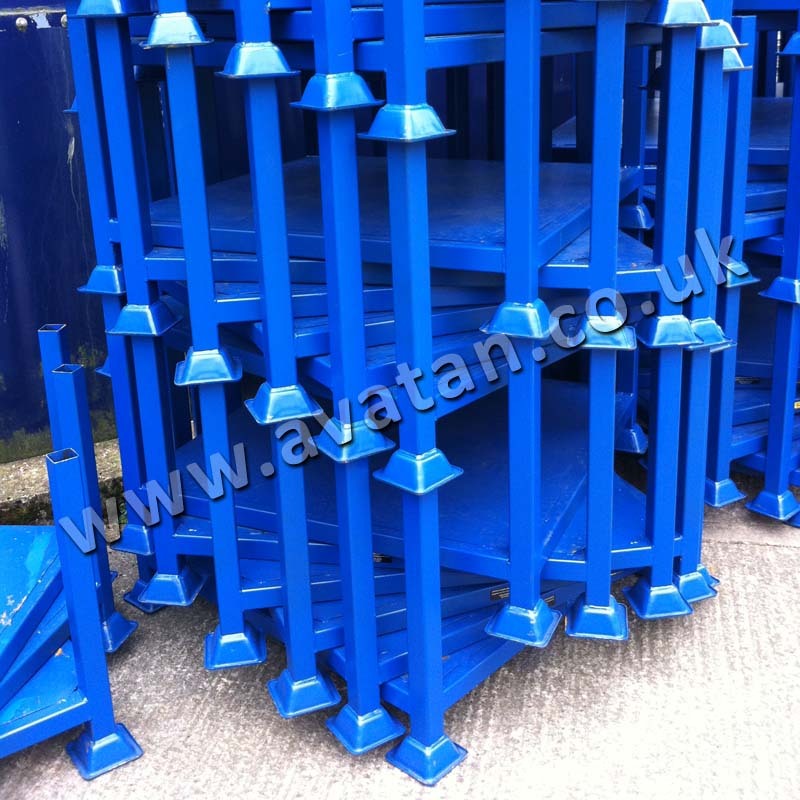 Scaffolding fitting bins, steel box pallet stillages are also available with sheet steel base and sides.